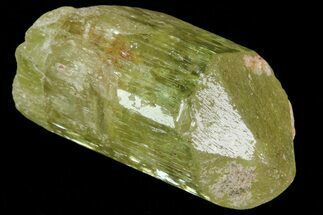 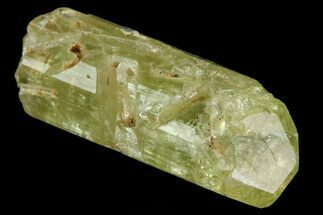 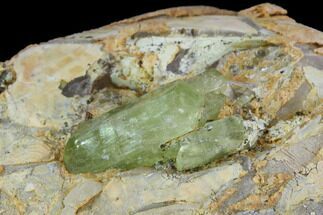 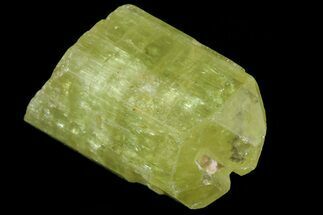 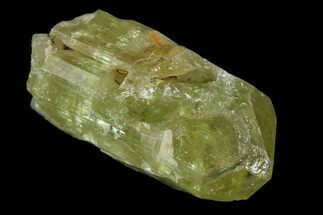 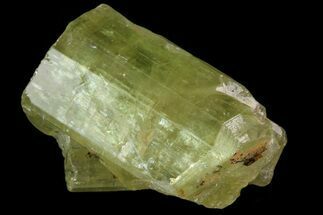 This is a lustrous, greenish-yellow apatite crystal with a nice termination from Imilchil, Morocco. 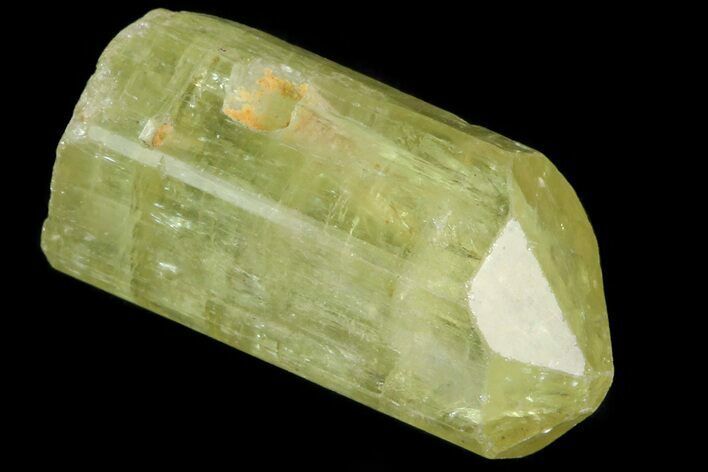 Apatite's bright, lustrous crystals form hexagonal shapes with off-center terminations. 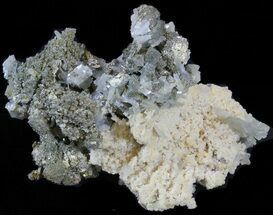 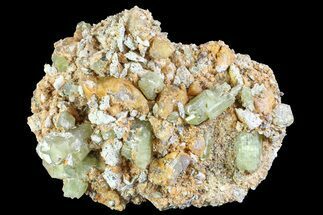 They are found in vugs (small cavities in rock), often associated with quartz and calcite. 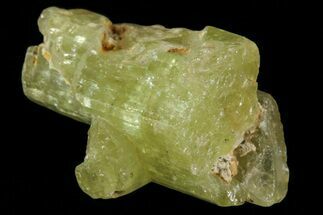 Many crystals are around an inch in length, though larger crystals up to about 4 inches long have been found.